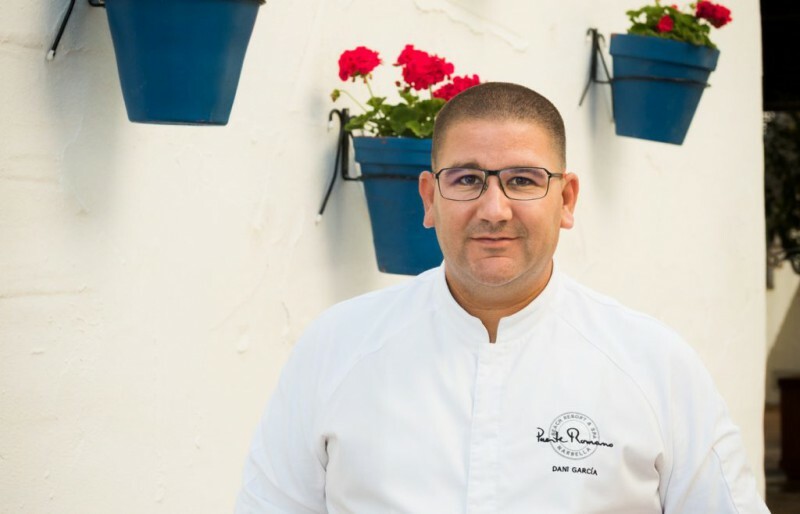 Good Things Magazine chats to Michelin-starred Spanish chef, Dani Garcia, about his culinary passions, inspirational role models, and the exciting open-air event, El Patio Dani Garcia, taking place throughout August at Puente Romano Beach Resort and Spa. Tell us more about your culinary background – where did you train to cook? My first experience cooking in a ‘professional’ kitchen was at age 18, in my hometown Malaga. During my time at the Hotel and Catering School of La Cónsula, I learnt the basics of cooking. I didn’t really start to believe I could make a living out of it until I went to work at Martín Berasategui’s restaurant in Guipúzcoa. Travelling and sampling food from the most far-flung places in the world provided me with the inspiration, skills and knowledge that got me where I am today. For a chef, learning to work in the heat of the kitchen and under pressure is just as important as building up and developing a sense of taste. A cuisine of contrasts. For us, flavour comes first, above everything else. We cook traditional food, starting with the best raw materials available and then use the right technique to find a sensible balance between the traditional and the avant-garde. What’s the secret for a successful pop-up such as El Patio Dani Garcia? We enjoy doing things well, and that’s all there is to it. For El Patio, we have created a menu with the same high standards we set in the kitchens of Dani Garcia and BiBo, constantly evaluating our work from within. In addition, the table service in this pop-up is provided by the exceptional team from Puente Romano Beach Resort & Spa, who guarantee the highest possible standards in customer service. The Nitro Tomato or our take on Ajoblanco are two examples of dishes that capture our way of seeing food and our approach to gastronomy. What would your ‘last request’ meal consist of? Some delicious prawns cooked pilpil – perfectly fried in fresh garlic and peppers. I can find inspiration in a song, a book, while working with my team in the kitchen, from the customers… when you make a living out of cooking, anything in your day-to-day life can serve as inspiration. Who are your culinary role models? Ever since I discovered the cuisine and the restaurants of Joël Robuchón, I have always been inspired by his methods, so much so that we organised a well-deserved tribute to the man himself last April at Dani Garcia in Marbella. On this occasion, we were able to bring 71 Michelin star chefs together under one roof for ‘A Cuatro Manos’ – a truly unique event. What is your favourite dish on the menu at El Patio Dani Garcia? I would highly recommend the chilled soups which are on offer in the “Selection of red, green and yellow gazpachos”. A personal favourite! If you weren’t a chef, which career would you most like to pursue? When I was young, before studying to be a chef, I dreamed of being a professional footballer – just like every other boy at that age. Do you have any advice to any budding chefs? Never give up and never stop trying new types of food. Learn new things every day and make sure you have a great team around you. What is your proudest culinary achievement to date? I’m very proud to represent and champion Andalusian cuisine all over the globe. On a more technical level, I’m also really pleased with the work we have done with liquid nitrogen, which adds a sense of theatre to our offering. Located at Puente Romano Beach Resort and Spa in Marbella, El Patio Dani Garcia will run every Tuesday to Sunday evening until the end of August 2016. Read more about it HERE!